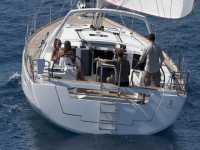 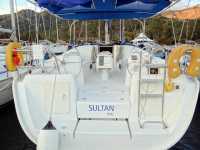 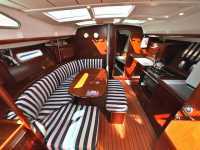 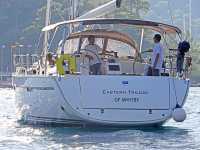 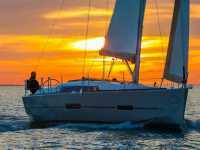 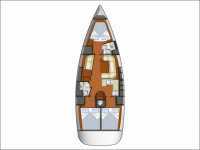 PORTWAY has a variety of quality yachts, ranging from compact but sprightly, high performance 37 foot to luxuriously roomy 50 foot boats. 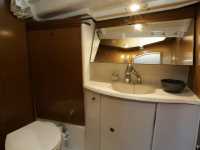 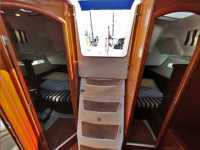 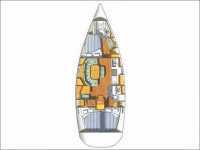 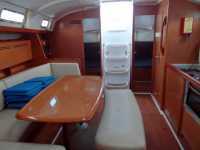 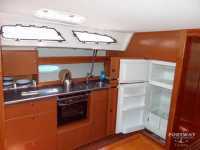 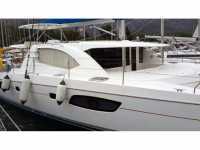 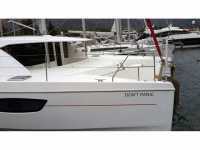 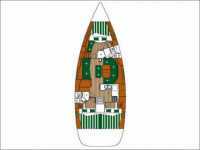 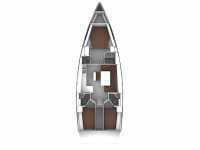 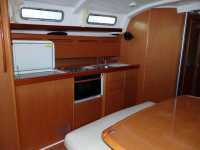 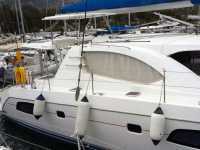 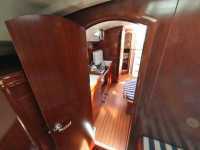 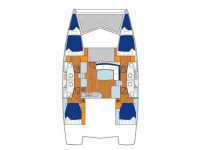 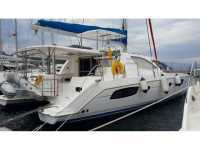 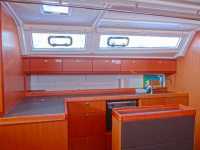 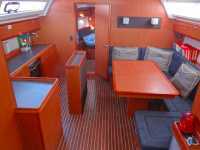 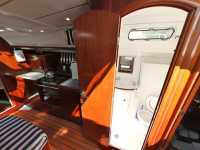 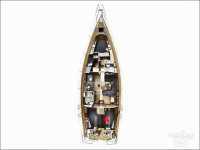 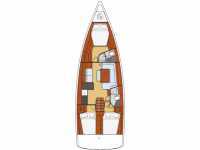 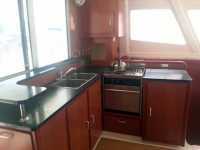 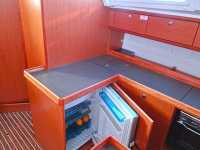 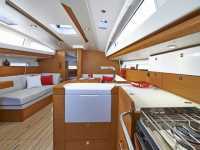 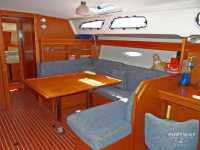 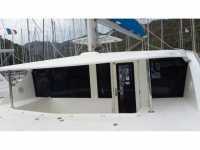 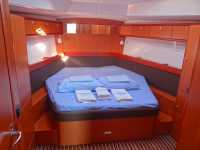 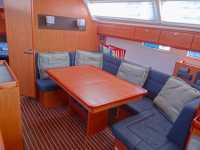 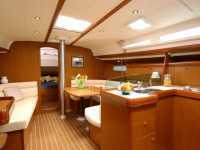 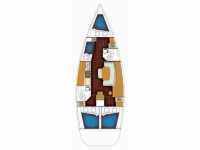 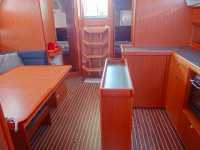 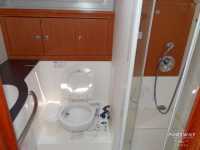 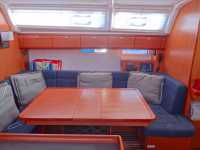 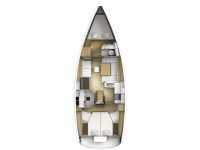 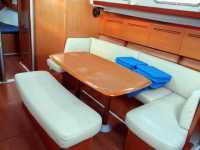 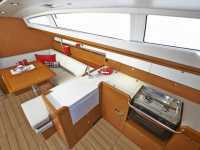 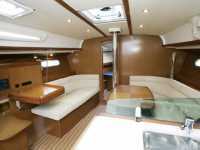 PORTWAY also has a comfortably spacious ten berth Leopard 43 - 4 cabin (2 triple + 2 double cabin) / 4 head catamaran. 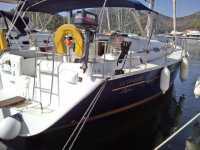 Fully battened mainsail with lazy jacks(renewed in 2012), furling head sail(renewed 2012), single wheel steering, autopilot, GPS, FM radio CD player, cockpit speakers,12v fridge, bed linen, dinghy with outboard, shore power, hot & cold pressurised water system, electric windlass. 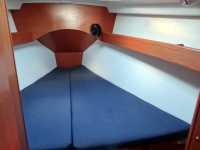 Fully battened mainsail with lazy lines and bag, furling head sail, twin wheel steering, autopilot, GPS, FM radio CD player (with AUX-IN), cockpit speakers, 12V saloon & cabin fans,12V fridge, bed linen, dinghy with outboard, shore power, hot & cold pressurised water system, electric windlass. 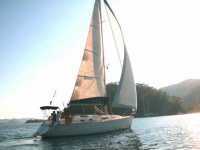 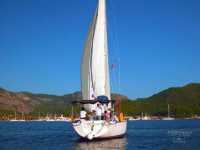 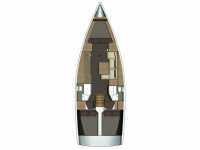 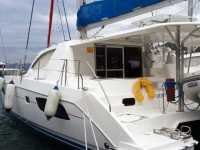 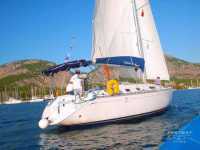 Furling main sail, furling head sail, single wheel steering, autopilot, GPS – chart plotter, FM radio CD player, cockpit speakers, fridge, bed linen, dinghy with outboard, shore power, hot & cold pressurised water system, electric windlass. 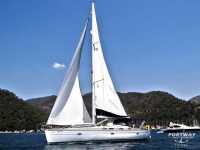 Furling mainsail, furling head sail, 1x electric roof winch, twin wheel steering, bow thruster, autopilot, GPS – chart plotter(cockpit), FM radio CD player (with AUX-IN & Bluetooth), cockpit speakers, air conditioning (Generator and shore power), 12V saloon & cabin fans,12V fridge, bed linen, dinghy with outboard, shore power, hot & cold pressurised water system, electric windlass. 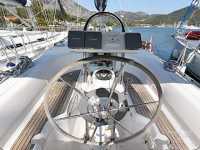 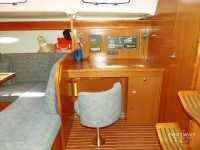 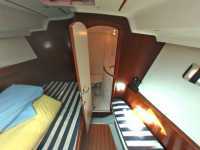 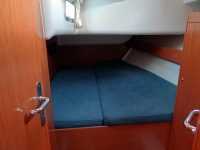 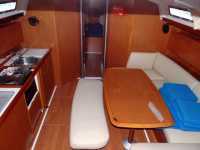 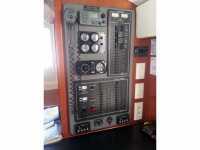 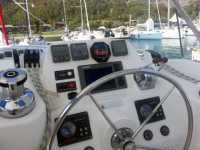 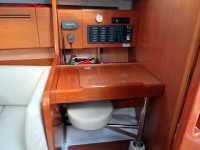 Furling in mast mainsail, furling head sail, twin wheel Steering, bow thruster, autopilot, GPS – chart plotter(cockpit), FM radio CD player, cockpit speakers, 12V fridge, bed linen, dinghy with outboard, shore power, hot & cold pressurised water system, electric windlass. 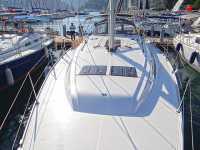 Fully battened mainsail with lazy jacks - furling head sail (both renewed in 2015), electric roof winch, twin wheel steering, autopilot, chart plotter(cockpit), Bose sound system (with AUX-IN), cockpit speakers, Air Conditioning (Generator and shore power), Solar Panels, saloon & cabin fans, 12V fridge, dinghy with outboard, shore power, hot & cold pressurised water system, electric windlass. 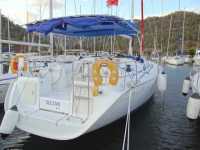 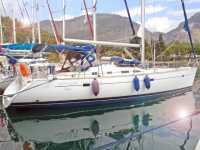 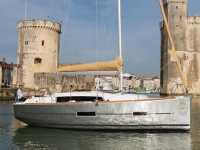 Fully battened mainsail with lazy jacks, furling head sail, twin wheel steering, autopilot, GPS – chart plotter, FM radio CD player, cockpit speakers, fridge, bed linen, dinghy with outboard, shore power, hot & cold pressurised water system, electric windlass. 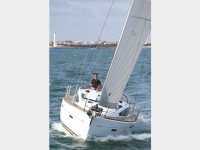 Furling in mast mainsail, furling head sail, 1 x Electric roof winch, twin wheel Steering, bow thruster, autopilot, GPS – chart plotter(cockpit), FM radio CD player(with AUX-IN), cockpit speakers, 12V saloon & cabin fans, 2 x12V fridge, bed linen, dinghy with outboard, shore power, hot & cold pressurised water system, electric windlass. 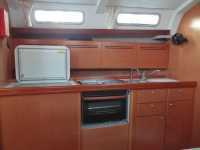 Furling in mast main sail, furling head sail, twin wheel Steering, powered swim platform, bow thruster, autopilot, GPS – chart plotter (located in cockpit), FM radio CD player(with AUX-IN), cockpit speakers, air conditioning (Generator and shore power), saloon & cabin fans, 12V fridge, bed linen, dinghy with outboard, shore power, hot & cold pressurised water system, electric windlass. 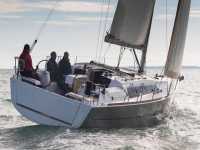 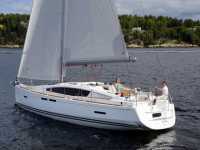 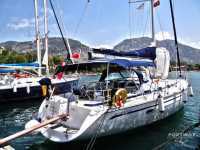 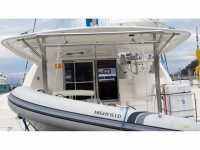 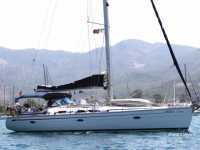 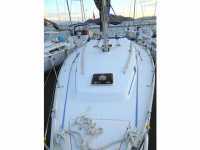 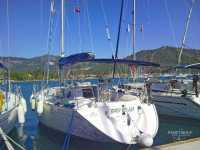 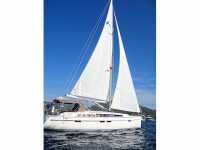 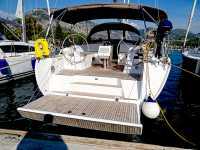 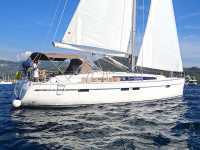 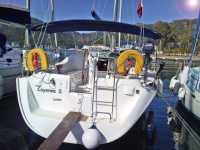 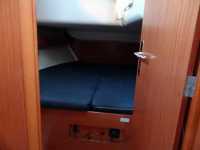 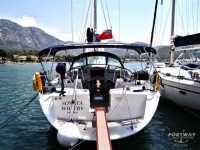 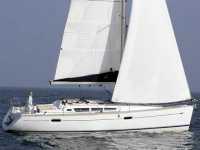 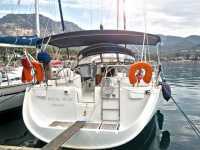 Furling in mast mainsail, furling head sail, twin wheel Steering, bow thruster, autopilot(new 2011), GPS – chart plotter(new 2011) , FM radio CD player, cockpit speakers, 2 x fridge, bed linen, dinghy with outboard, shore power, hot & cold pressurised water system, electric windlass. 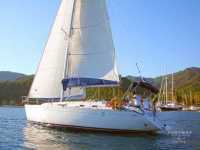 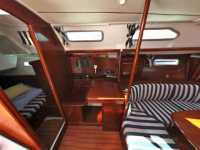 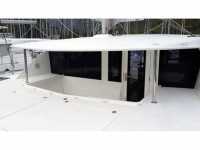 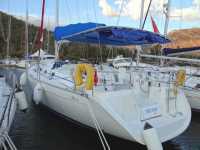 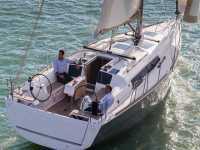 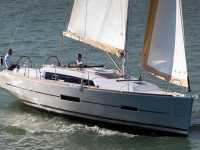 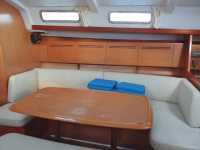 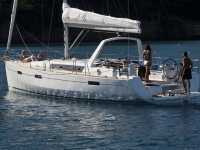 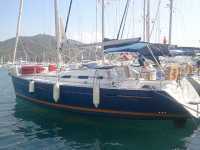 Standard battened mainsail with lazy jacks, furling head sail, twin wheel Steering, bow thruster, autopilot, GPS – chart plotter, FM radio CD player, cockpit speakers, fridge, bed linen, dinghy with outboard, shore power, hot & cold pressurised water system, electric windlass.